Thank you for supporting One Savvy Mom! Things have definitely changed since I was a child. Technology is woven into nearly every element of our daily lives now, and it's not going anywhere anytime soon. There's a balance to be struck between the virtual and physical worlds, and it's a balance that we must help our children find as parents. Admittedly, it's a pretty tough task though! Finding the appropriate boundaries can be a challenge. That's why we're really enjoying the marriage of virtual fiction and non-fiction storytelling and physical problem solving presented in Storied Myth; a free online application and subscription service. Like we mentioned, registration is free and your first puzzle is too! If your child enjoys it as much as we know they will, you can continue the adventure with a paid subscription. 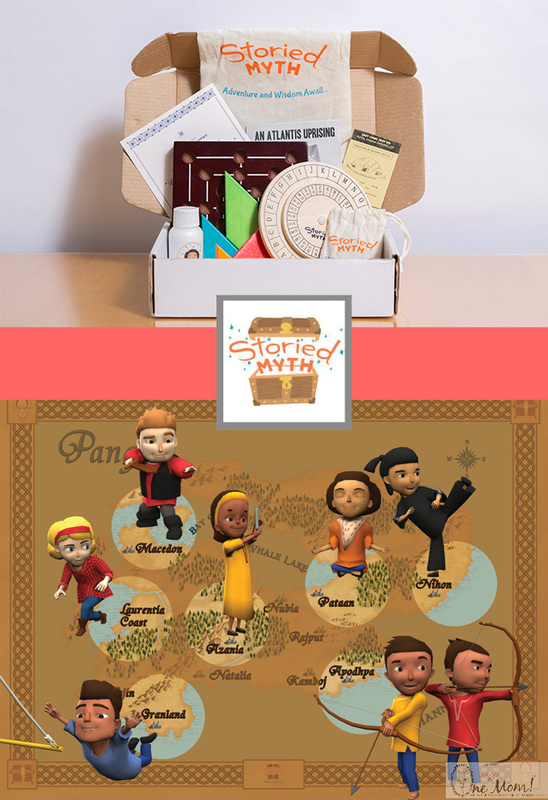 With a paid subscription, you'll receive corresponding physical puzzles in the mail as your child advances through the stories in the app. We are LOVING Storied Myth! It's the perfect way to ignite your child's critical thinking skills, while navigating a virtual platform. We have a fun giveaway, just in time for summer! (1) $50 VISA Gift Card. Entry is simple, you can enter through the Giveaway Tools Form below. I will keep my kids occupied this summer by reading books together and playing educational games. They would love this application. My kids will be busy with ballet, karate, and going to the pool. My son would enjoy Storied Myth. My nieces and nephews will keep busying by riding bikes/scooters, playing at the beach and swimming. We will be doing the fun book reading classes at the library, and we read during the summer! 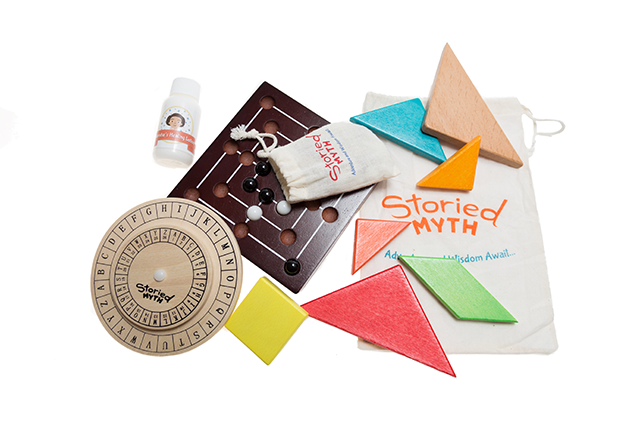 It is good to keep my with learning, and my niece and nephew would love the Storied Myth Platform! We are going to sightsee in our hometown this summer. So many things to do! I think my son would love Storied Myth. My son has an engineer's mind, so he is good at puzzles and thinking games and I think he would really enjoy this. My grandsons would enjoy the Storied Myth Platform this Summer! I plan to keep my grandsons busy by playing educational board games and puzzles, and also by getting outside and exploring nature and learning about our environment. My son and grandson love to be outdoors doing anything and everything. I make sure my son keeps up on his reading at home during the summer. My son would enjoy this. We plan on going to the beach and going camping. All of my kids would enjoy using this! I will keep my daughter busy by having her attend Bible camp, go to the water park, and bike outside. I plan to send my daughter to a summer camp and I think she would love this. My son would like this. We keep him busy learning by going to the library, museums, family adventures, and learning activities at home. I am sending my son to a science day camp one week and my daughter will go to a writing day camp another week. We are also visiting family a lot. I think both of my kids will use this. My son is signed up for a science summer camp, summer reading program and football camp so he should be pretty active. He is a huge science nerd (he gets that from me) so we watch A LOT of educational programs and read fun books. We are doing a summer reading program at home this summer. My son would really enjoy this! we are spending lots of time at the splash pad and local water parks. I think my niece would enjoy this. We've been going to the park a lot. I think my grand kids would enjoy it. I'm trying to get them interested in learning by using fun websites like ABC mouse and going to reading days at the library.